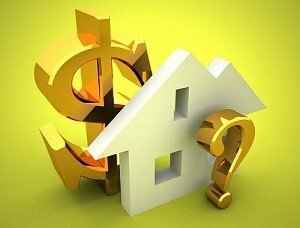 If you want to purchase a home, you might wonder, “how much house can I afford to buy?” With the mortgage rates still close to its all-time lows and home values still below the peak, this may be a good time to buy. Before you even consider buying a home, I believe you should meet the following conditions: You should be able to make a 20% down payment from your savings, and plan to stay in the house for at least 10 years. A 20% down payment will help you avoid paying Private Mortgage Insurance (PMI). If you can make the 20% down payment from your savings, it shows that you have a healthy positive cash flow (a fact that allowed you to save up the money in the first place). If you do not have the prerequisite savings, you should consider cutting your expenses and increasing your income to save up for the down payment before plunging into homeownership. The 10 years portion is simply to help increase the likelihood that you will come out financially ahead after factoring in the costs of buying, selling, mortgage payments, and living in your home. If you plan to stay in your house for less than 10 years, consider renting instead. The first rule of thumb is to take your annual gross household income — basically, the money you and your spouse make in a year before taxes — and multiply that by 4. For example, if you earn $40,000 a year and your wife earns $50,000 a year, your household income is $90,000 and you can afford a home that costs up to $360,000 home. This is a quick way of calculating how much you can afford, but the main problem with this rule is that it doesn’t take into account your other debts. The second rule of thumb is to keep your monthly housing related expenses (mortgage payment (principal + interest), real estate taxes, and homeowner insurances) to less than 28% of your monthly household income. Using the example above, your monthly income is $90,000 divided by 12, or $7,500 per month. Therefore, your monthly housing expenses should be less than $2,100 ($7,500 x 28%). Using our mortgage amortization calculator, a $360,000 home with an interest rate of 4% on a 30-year fixed mortgage will cost you about $1,700 a month. This leaves about $400 for property taxes, insurance, and any HOA fee. The third rule of thumb is similar to the one above, but this rule takes into account all of your debt obligations, including student loan payment, credit card debt payment, and any other debt that you have. From the example above, 36% of $7,500 is $2,700. This rule is a nice way to double-check your ability to meet your obligations against the other rules. Say you make a $500 car loan payment a month, $250 student loan payment a month, and another $750 payment toward credit card debt. Once you add all that up, you only have $1,200 left for your house payment. This means the $360,000 home is out of you reach. This is why it is important to limit your amount of debt with respect to your income before adding more debt — such as a mortgage — to your budget. Also note that this process can result in a hard credit pull and will likely lower your credit score for about 3 months. Online – I filled out basic information about my wife and me (name, address, income, social security number, birthdate), and about the property that we are looking at (loan amount, address, purpose of the loan). Representative – That same night, a representative called me and verified several pieces of information (this took about 15 minutes). Result – Based on the information we provided, we are pre-qualified for a 30-year fixed-rate loan of $300,000 with a 4% interest rate. Our estimated closing costs are about $9,000. The pre-qualification is good for 90 days (they issued a letter via email that I can show to the seller). However, the final loan approval is subject to sufficient proof of income and assets. In addition to applying for pre-qualification from your local bank, you can also check out LendingTree and Quicken Loans. Of course, pre-qualification is not a guarantee that you can afford the mortgage payment and other housing costs. One of the reasons that we ended up with a foreclosure crisis is due to overly optimistic pre-qualifications. Don’t think for a minute that just because you were approved for a $500,000 loan that you can afford to repay it. The problem with all the methods mentioned above is that they do not take your financial habits into account. So what is the best way to answer this question: How much house can I afford? Personally, I think the best answer is to simulate your home ownership experience. Take your mortgage for a test drive! Say you’re paying $1,300 a month in rent today, and you’re looking at a $1,500 monthly mortgage payment. To be conservative, we’re going to add a 20% premium on top of the mortgage to account for homeowner’s insurance, real estate taxes, PMI, maintenance, and additional utility costs, for a total of $1,800. Are you ready for a test drive? It’s easy. Since you’re paying $1,300 in rent, all you have to do is save the $500 difference each month. The best way to do this is to put the money into a separate savings account that pays a decent interest rate. You should do this for at least a few months to see if you can adjust to the new lifestyle. If you have no problem with the extra savings — That great! You’re financially ready and the extra money saved can go toward your down payment or emergency fund. If you find yourself making compromises to hit the savings goal — You are going to be “house poor“. You should look for a less expensive house, find more ways to trim your expenses, or look for ways to increase your income. You don’t want your house to become a financial barrier to achieving your other goals. If you are struggling to consistently save the difference – You should reevaluate your homeownership goal and financial priorities. May be a less expensive house, or a more frugal lifestyle is the solution, or perhaps you can boost your income with a side hustle to afford your home. Or maybe it’s just not time for you to buy yet. Buying and owning a home is an exciting experience, but it’s not always the right choice for everyone. For home ownership to be rewarding the house should be both physically and financially comfortable. What is Mortgage Life Insurance and Do You Need It? Should I Buy a House if I am in Debt? I have the same job for almost 4 yrs , never own a house my credit is poor around 600 , my annual income is 48 , 000 my boyfriend has poor credit too , he make around 46,000 I’m preagnat and together we have 5 kids so we need to buy a house because paying rent in two places is really expensive, and I will love to start a new family in house the fit out big family , I found one and cost 170,000 , can we quality? ? What if you make a combined income of ~90,000+ and you have ~$10,000 in savings but you are receiving 40,000 in inheritance money (towards a downpayment) to avoid PMI on a home under $250,000. How do you figure in how much home you can actually afford with that model? Do you go based on your savings of $10,000 knowing the $40,000 is a one time deal? Should homes looked at be under $200,000 or up to $280,000. Have ~1000.00 debt /mo. I have a question. My husband and I have lived in a house where the school district isn’t too good. We are thinking of moving to a neighboring town where the school is much better. This town is pretty expensive and now is the perfect time to buy in before the real estate takes off again. However, I am not sure how my kids will fit in. Should I sell my house and move now before the real estate takes off? or Should I try to rent for now? Please let me know what you think. Thanks a million. Yeah, I am just going out to buy a house and reading all I can. This has some good info on how to control my finances. All of the above methods are acceptable, I would like to add that buying the most expensive house is not always the best option. Cheaper house can be paid off faster, saving thousands in interest payments. Unless you can pay cash you might as well start with method 2. Of course, you don’t have to use the full amount, but that will let you know how much you can actually borrow. Just make sure to account for all the hidden costs, small and large, so you get an accurate figure. @Kris: What I’m amazed by is how high the banks think I can afford. If you’re talking 35% of my gross income… that’s a ton of money every month. An amount I’m not comfortable with to be able to also save for retirement and emergencies. What about you? This is a fantastic idea! I can’t believe I’ve never thought of it before. I’ll actually be bringing this up to my wife… we’re looking at purchasing a home in about a year. It’d be good for us to know for sure if we can do it. I’ll let you know what happens with this! You never let me know what happened…. If you’re going to buy a house I’d suggest a separate house emergency fund. I’ve started putting $150/week into my house emergency fund. The goal is have enough money in there for a large emergency like needing to replace a roof or needing to replace plumbing (lots of homes built in earlier times have galvanized pipes and there are cases where most all of the pipes need to be replaced at once – happened to a neighbor a few years back) – I’m aiming to have $15K in the house emergency fund. Again, this is separate from the 6-months-of-living-expenses emergency fund. You don’t want to find yourself in a situation where your roof needs to be replaced immediately and then have to put the $12K cost on the credit card. As someone who has lived in the same house for 17 years now I can tell you that maintenance will be higher than you expect. Don’t get yourself into a situation where you can barely afford the monthly payments + insurance + property taxes. You need to be able to set aside money for maintenance as well. The rule of thumb that I’ve heard is 2% of your house’s value every year. What a great idea on test driving whether or not you want to become a homeowner. In today’s crazy real estate market, there are so many people that will be renters for a long time. The future homeowner really doesn’t know what they are getting into when they decide to buy a home until usually after they do it. This is huge mistake as it could ruin your credit for a long time if you make a bad decision up front. Great way to get an idea of whether or not you’ll be able to handle it. Very conservative too. Me likey. @Thrifty Femme — Good point about adjusting it for your local condition. For my house, the property tax is relatively cheap at about $3,000 for a $600k property. I know out in Long Island, taxes are about 3-4 times higher for the same $600k property. @Sara — Thank you. And don’t forget emergency fund. As a homeowner, you can’t miss a mortgage payment so having an EF is more important than ever. I have 3 months worth of mortgage payment saved in a separate account just in case. @Mr. Cheap — No problem. Very good info Pinyo. I love articles that provide simple rule-of-thumb advice. It makes it very easy to follow and implement. Great post and suggestion! Thanks for the link. I’m impressed. This is a simple solution that makes sense (provided long-term job viability is there). Plus, you can use the money saved up to pay down closing costs, invest in new home costs like landscaping and blinds, or put down more on the down payment. I did this for a year before we bought our home, and it worked out very well. In my experience a 20% premium for homeowner’s insurance, real estate taxes, PMI, maintenance, and additional utility costs is too conservative. I would recommend a 30% – 60% premium if you live in a high real estate tax area and/or a high homeowner’s insurance area.